To upgrade from a general availability version of the scanner that is older than 1.48.204.0, see Upgrading the Azure Information Protection scanner. You can then use the instructions on this page, omitting the step to install the scanner. 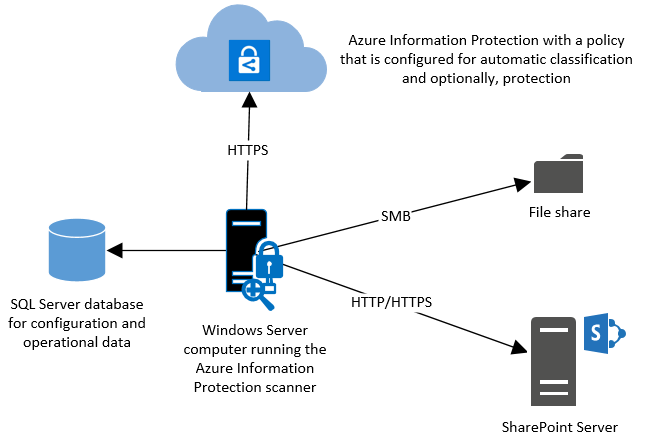 If you are not ready to upgrade from a previous version, see Deploying previous versions of the Azure Information Protection scanner to automatically classify and protect files.